Written by RJ Balaji, the satire takes aim at the political class. 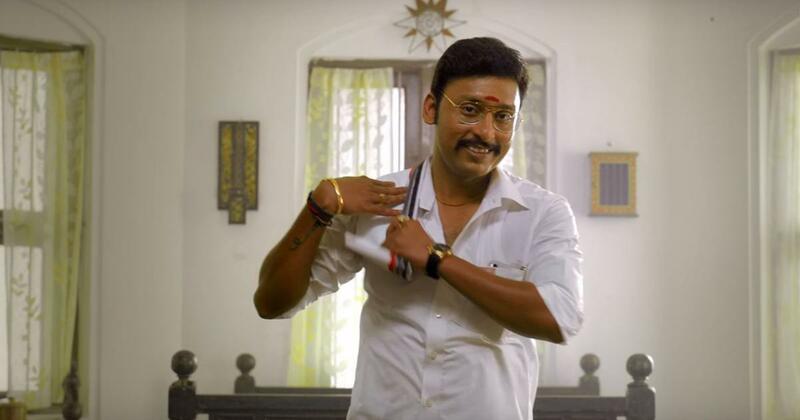 Directed by KR Prabhu and written by RJ Balaji, the film follows the journey of Lalgudi, who is better known as LKG, as he takes a dig at major political events in the past few years. Kamal Haasan’s entry into politics, violence caused by cow fanatics, the jallikattu debate and the freebie culture in Tamil Nadu are some of the subjects that are parodied in the trailer. “A man and a cow are trapped in danger. Who will you save?” Anand’s character asks Balaji. Another scene takes a clear dig at Narendra Modi’s morning yoga routine: a politician stretches over a rock while asking celebrities to take part in his fitness challenge. The film, which also stars JK Rithesh and Nanjil Sampath, has been produced by Vels Film International. LKG marks Balaji’s first starring role. His acting credits include Naanum Rowdy Dhaan (2015) and Kaatru Veliyidai (2017).